'Harry Potter' star Daniel Radcliffe wants to find out what Justin Bieber's secrets are. Daniel Radcliffe plays Ig Perrish, who can read other people’s minds, in fantasy thriller ‘Horns’. ‘Harry Potter’ star Daniel Radcliffe wants to find out what Justin Bieber’s secrets are. The 25-year-old actor plays Ig Perrish, who can read other people’s minds, in fantasy thriller ‘Horns’ and would love to use them on the ‘Baby’ hitmaker, reported Contactmusic. 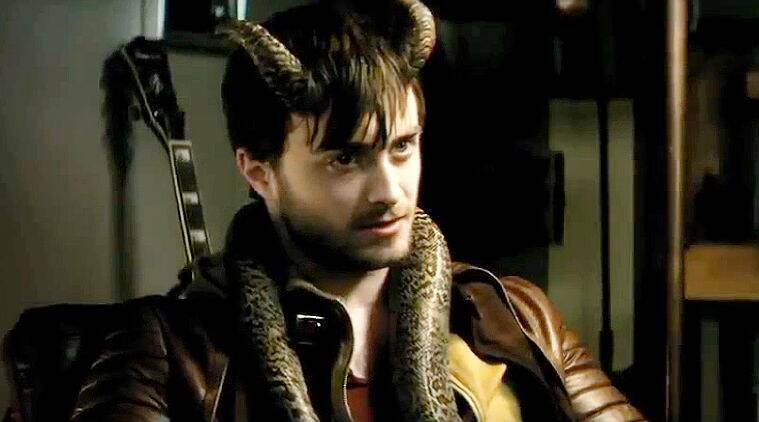 Meanwhile, Radcliffe recently revealed that his girlfriend Erin Darke is a big fan of the horns he wore in the movie. “She loves them. How could you not? They’re glorious and I hope very attractive,” he had said. According to the actor, things are going great between the couple, who met in 2012.